‘Kalank’ is one of this year’s most awaited films and it features a stellar star cast. The line up includes Varun Dhawan, Alia Bhatt, Sanjay Dutt, Madhuri Dixit, Sonakshi Sinha and Aditya Roy Kapur in lead roles. After two songs getting released i.e. ‘Ghar More Pardesiya’ and ‘First Class’, the third song is also out. It is none other than the title track ‘Kalank Nahi Ishq Hai’ and it is indeed a treat and a delight. The title track is magnificently shot and it is a marvelous melody. 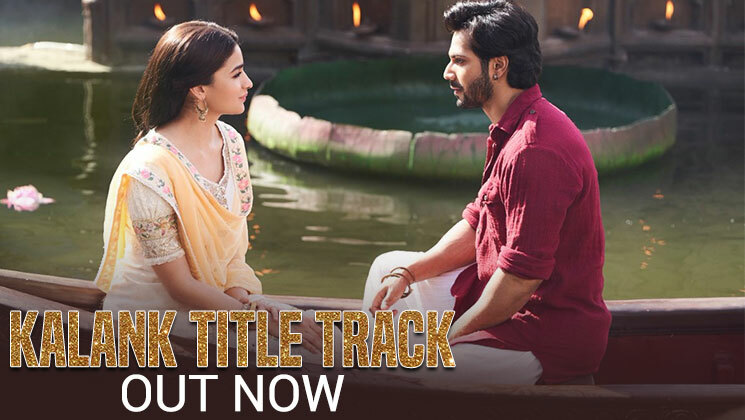 ‘Kalank Nahi Ishq Hai’ is soothing and it beautifully captures love, romance, agony, and heartbreak. Special mention has to go to the duo of Alia Bhatt and Varun Dhawan. The song has been sung by Arijit Singh and the lyrics have been penned by Amitabh Bhattacharya. The song showcases the exact time Zafar and Roop fall in love with each other. The feeling cannot be described in any words. A Karan Johar production, ‘Kalank’ is a periodical drama and it is being helmed by Abhishek Varman. This magnum opus will be hitting screens on April 17, 2019.